Marc is a Senior Physiotherapist based at the Princess Alexandra Hospital in Brisbane. He has a special interest in physiotherapy with critically ill patients. 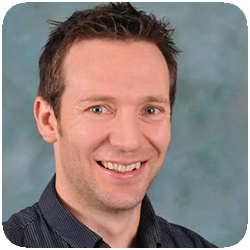 He is currently completing his PhD on the topic of Exercise in ICU, through the Queensland University of Technology. Marc led an RCT investigating the effect of in-bed cycling on maintenance muscle mass and function in critically ill patients at the Princess Alexandra Hospital. The results of this study were presented at the Society of Critical Care Medicine in San Diego earlier this year. He has published on the topics of exercise with critically ill patients, and extubation failure following cervical spinal cord injury. He is a peer reviewer for several critical care journals.